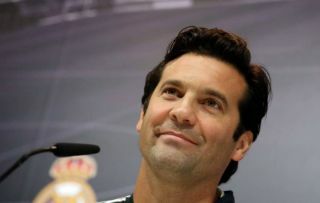 Things promise to get more difficult for interim Real Madrid coach Santiago Solari, as he’ll be without another key player in the coming weeks due to injury. His tenure started in positive fashion with a midweek win in the Copa Del Rey, but Los Blancos will face Valladolid, Plzen and Celta Vigo before the next international break as they look to get back on track. Julen Lopetegui was sacked earlier this week after a dismal start to the campaign, and with Solari now in temporary charge, he’ll be eager to prove he can do the job on a permanent basis by obtaining positive results. However, he’ll have to do so without Marcelo, as the 30-year-old has been ruled out for several weeks with a hamstring injury that he sustained in the heavy defeat to Barcelona at the weekend, according to AS. Aside from offering experience, defensive solidity and energy up and down the left flank, the Brazilian international was also in fine scoring form with his side struggling for goals, as he scored in each of his last three games. Taking that into consideration too, he will undoubtedly be a major loss at both ends of the pitch. AS add that Dani Carvajal, Rafael Varane and Mariano Diaz also remain injured and aren’t expected back for a while yet, and so Solari will need to cope with their absences, particularly in defence now which could leave Real Madrid vulnerable in the games ahead. He will undoubtedly be looking to get to the international break in good form with wins under their belt, at which point it could be the ideal break needed to recover some of his injured stars and get back to full fitness to compete on various fronts.